The top rack of the dishwasher was a little wonky. Scratch that. A lot wonky. The top rack wouldn’t slide in and out of the dishwasher easily. 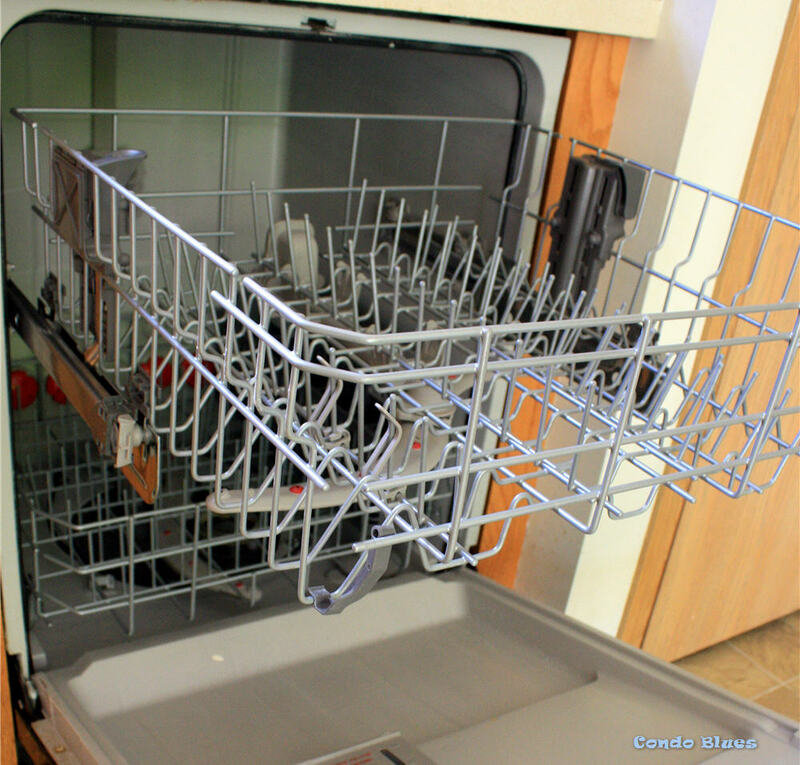 When it does, the rack dips down to an angle instead of being parallel to the bottom dishwasher rack. Husband did a little investigation. 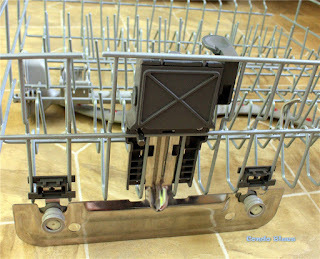 Instead of something being misaligned, the sliding brackets on both sides of the dishwasher rack broke off. So that’s why the dishwasher recently wasn’t cleaning dishes well! This is a simple fix and one we definitely need to have done as quickly as possible since we are now into the holiday entertaining season with its mountain of dishes I really, really, super really don’t want to hand wash. 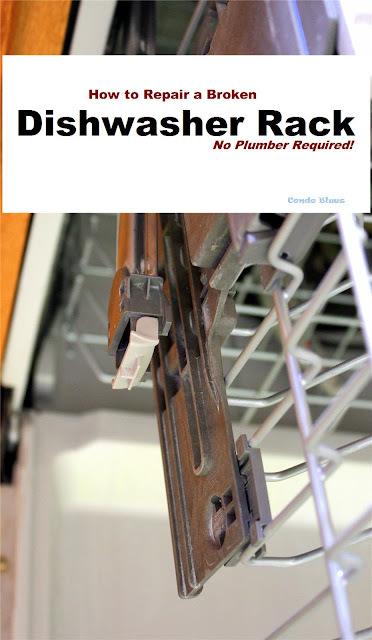 Unfortunately there is no way we could get a plumber to make this simple repair done in our immediate future.December is the busy season for plumbers because most people are preparing their houses for holiday guests. Fortunately, replacing the brackets and sliders on a broken dishwasher rack is a simple DIY fix and doesn't require a plumber, just written instructions and maybe a screwdriver. Real DIYers follow the instructions! Husband did the leg work of ordering the part from Kenmore. Apparently customers were having the same issue with the plastic rails breaking because Kenmore said we had to buy a redesigned part kit. 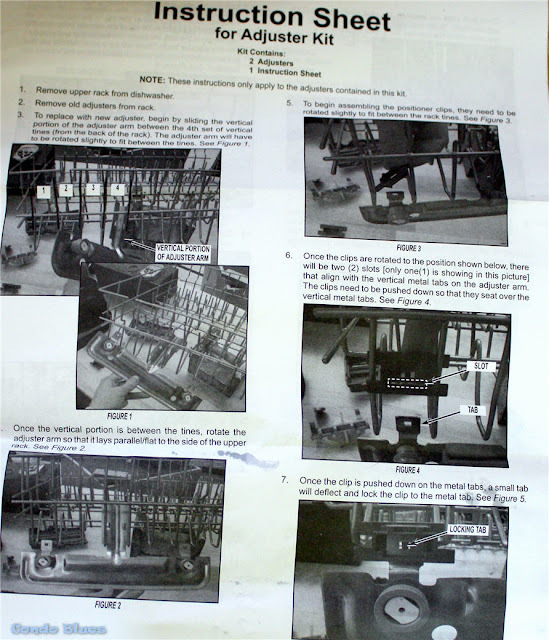 Hopefully we wont’ have this issue again because the new parts are made of metal. After the part arrived, I had a few spare minutes so I fixed the dishwasher rack for Husband while he was held up with a big on call work project. It’s what we do at Condo Blues. Teamwork in action! 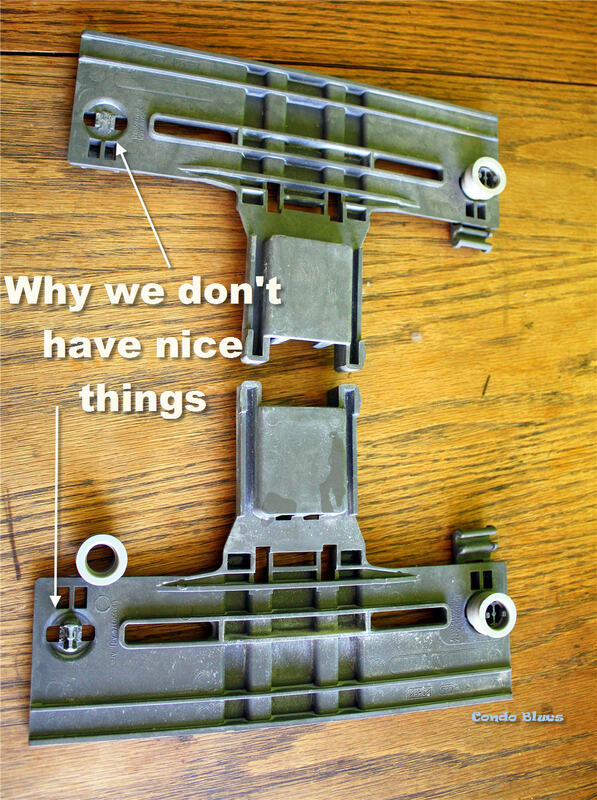 Basically, all I had to do was remove the broken adjusting bracket and snap the new adjusting bracket into the new rollers and back into to place on the rack. to be back in dish washing business! 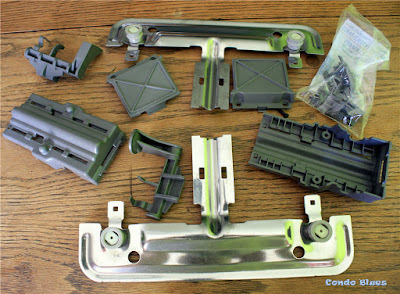 I’m not creating a detailed tutorial because dishwasher brands and models may have slightly different parts and directions than mine. For example my racks have a mechanism that allows me to adjust the height of the top rack up or down. The moral to this story is: While you are planning your holiday decor and meals, it doesn't hurt to take a quick look around and do a couple of quick DIY home repairs that will make your holiday go much more smoothly.